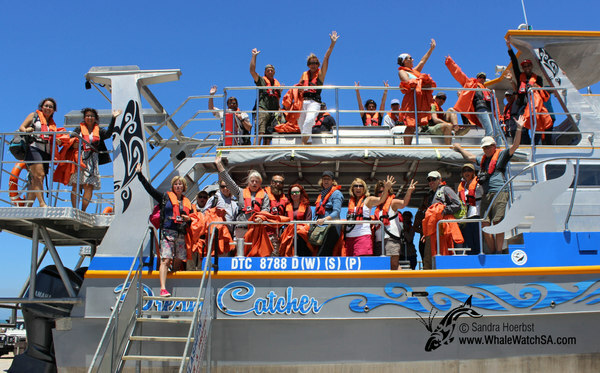 What a beautiful day with many marine animals and a lot of sunshine. 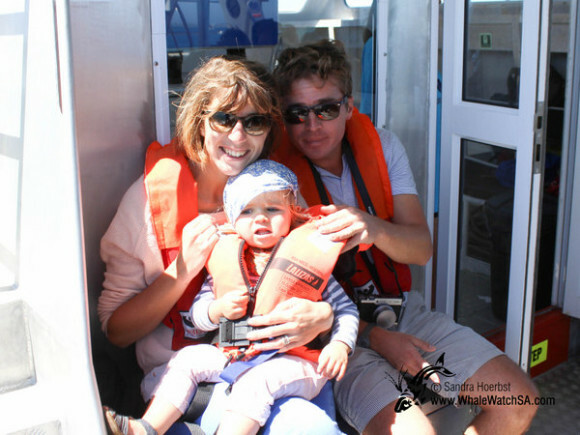 Even we didn’t spot any Southern Right whales we had an amazing time on board the Dream Catcher. 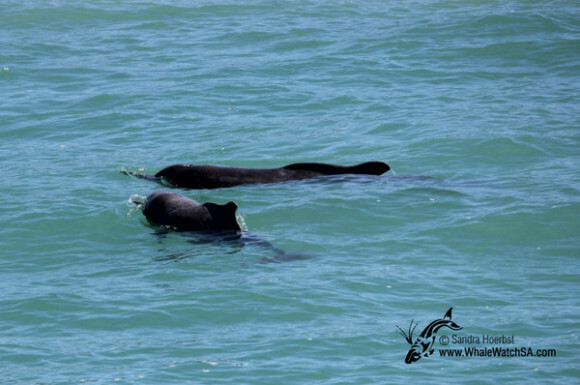 It looks like the Southern Right whales already made their journey back to their feeding grounds in the Sub Antarctic, as it has been a few days ago now that we have seen them. 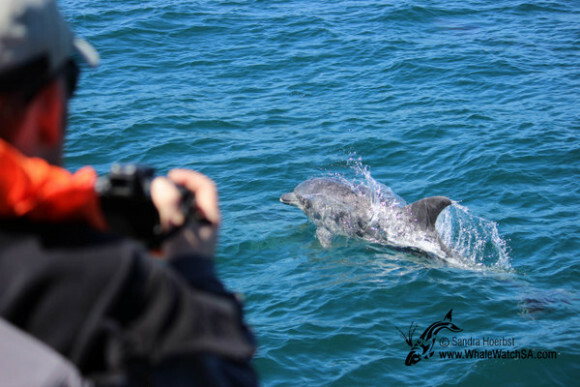 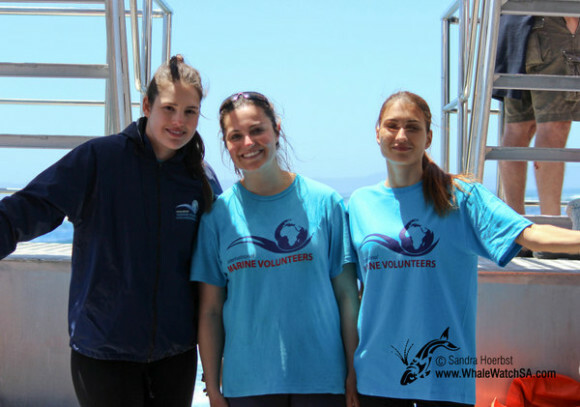 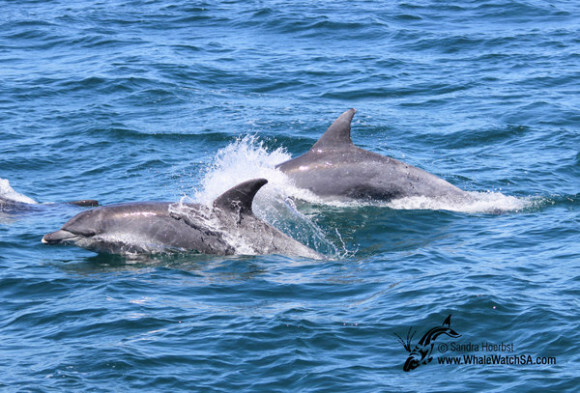 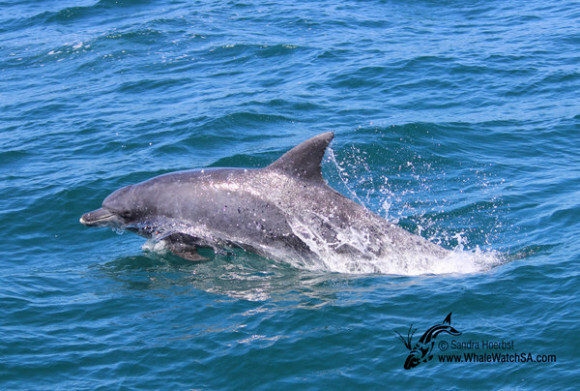 Even we weren’t luck with the Baleen whales we spotted two different dolphin species during our trip. 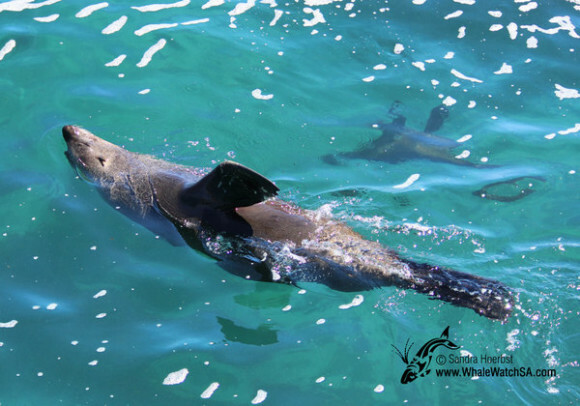 First we saw some Humpback dolphins in the bay and in Pearly Beach we encountered a pod of Bottlenose dolphins. On our way to Pearly Beach we quickly stopped at our sister company Marine Dynamics who offer the Great White shark cage diving. 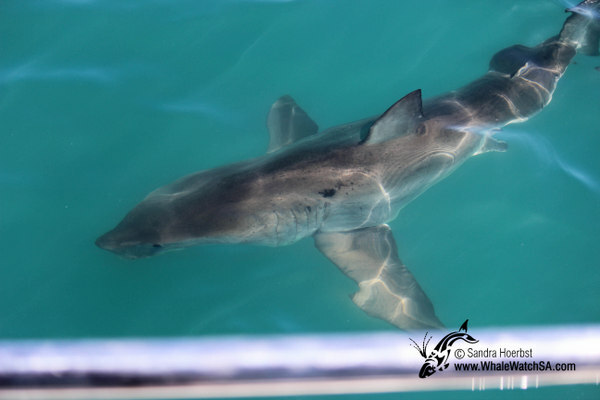 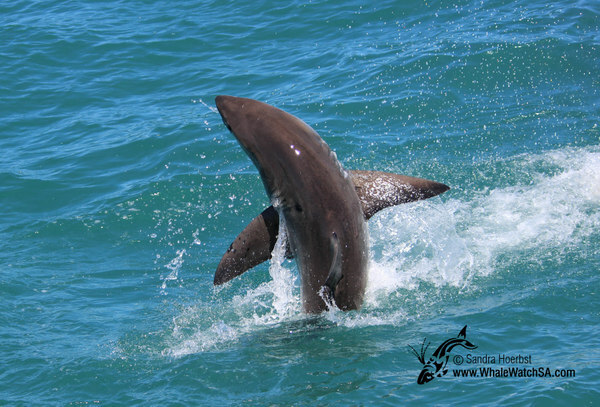 While being around their vessel we did get to see some amazing shark activity. 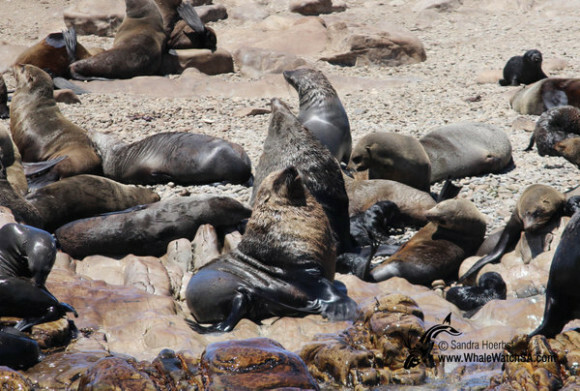 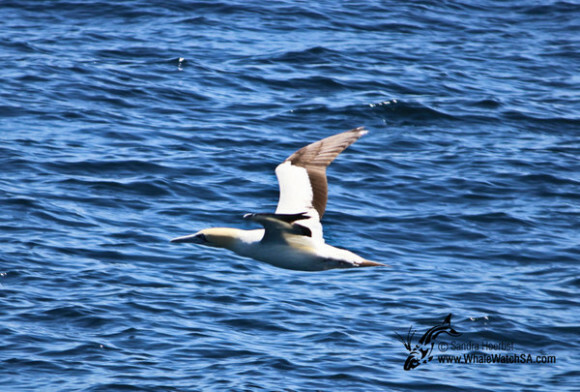 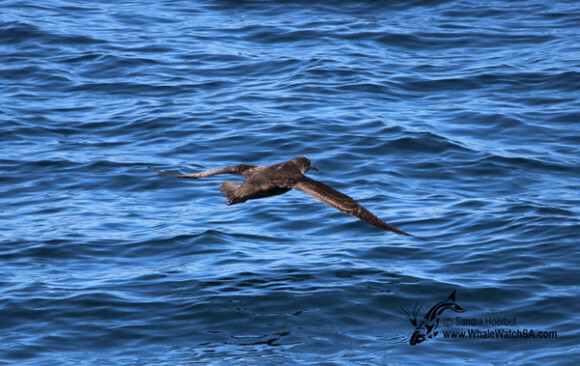 On the way to see some Cape Fur seals on Geyser Rock we spotted a gannet and s Shearwater, two beautiful seabirds. As well we came across some bait balls while cruising towards Dyer Island. 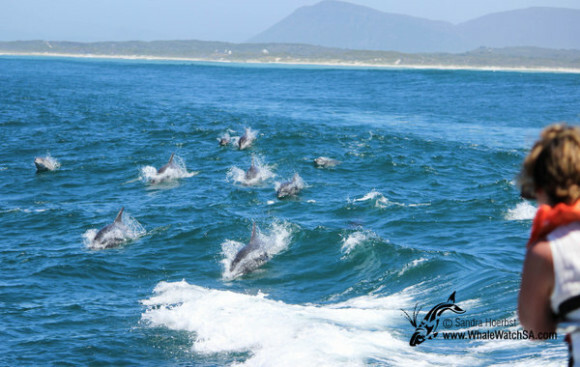 Mother nature always has got a nice surprise for you.